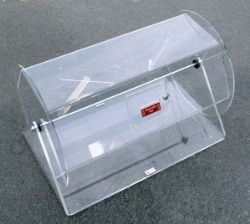 We offer three oversized Large Acrylic Raffle Drums including our huge 36" x 24" Acrylic Raffle Drum. 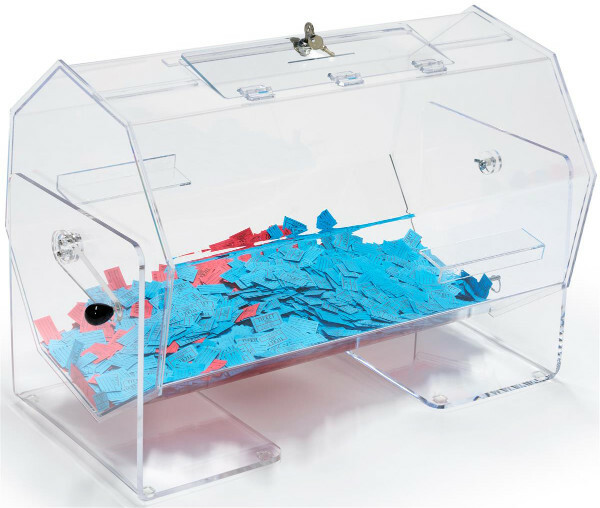 Each acrylic raffle drum features sturdy acrylic / plastic construction, a slotted locking door and an easy-grip plastic turning handle. (Lock and Keys included). 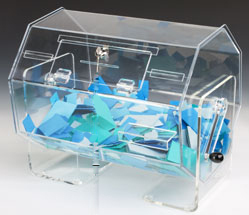 Holds 11,000 raffle tickets at capacity that allows proper mixing. (Lock and Keys included). Holds 20,000 raffle tickets at capacity that allows proper mixing.